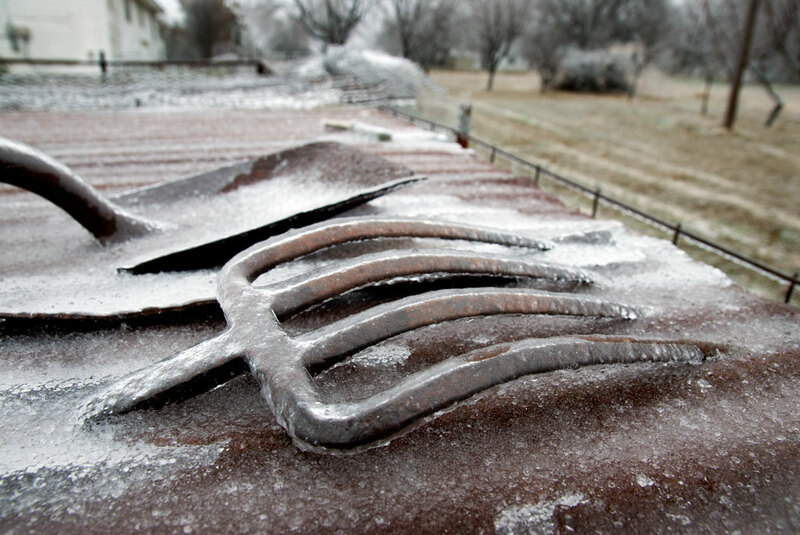 Ice clings to some old tool heads in our back yard yesterday. Abby asked me to order the movie Wonder recently, and it arrived Wednesday. With much of my work cancelled due to a slight accumulation of ice, Abby and I settled in to watch it. It was surprisingly engaging and involving until … boop! 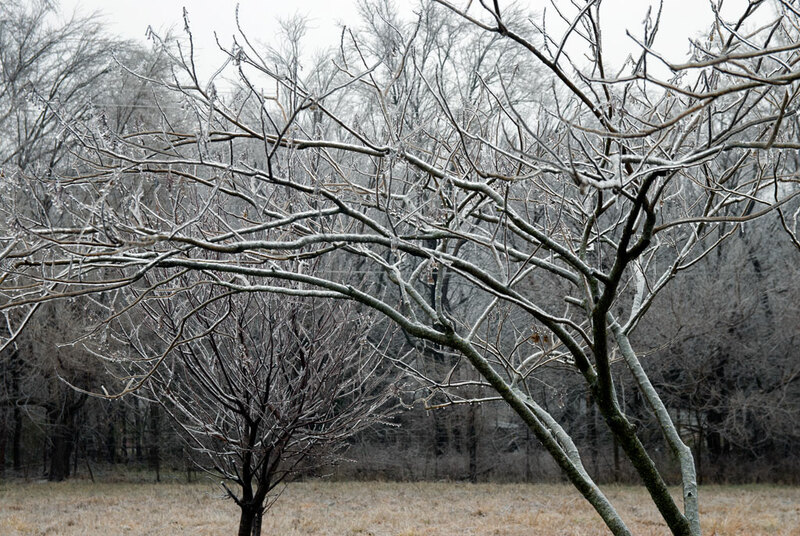 My peach trees hold a fair amount of ice. It wasn’t enough to break any branches, so I imagine our electric service was interrupted by an icy branch blowing over a power line. Apparently the ice storm was icier than forecast, because the power went out after a huge gust of wind made the woods crackle. I guess it was just our turn, because we in Byng were the only major outage in the state. We considered our options, but as we discussed going to town for dinner or going to my office to stay warm, we got a text message saying the estimated time for restoration was in a little less than an hour. When the power came back on, we finished the movie, which we both liked. Then yesterday, Abby got inspired to make pasta, so with another day of sports cancellations leaving my evening free, we had pasta, naps and Netflix. By late afternoon the ice was just about melted, so I took Hawken the Irish Wolfhound for a squishy walk. 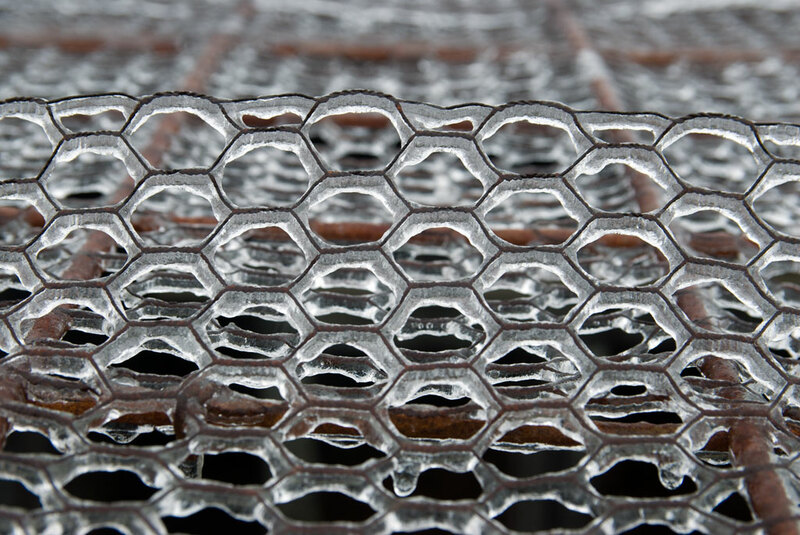 A soft layer of ice covers some derelict chicken wire on the roof of our derelict chicken coop yesterday. Like, actual pasta made with the kitchen aid mixer attachment?